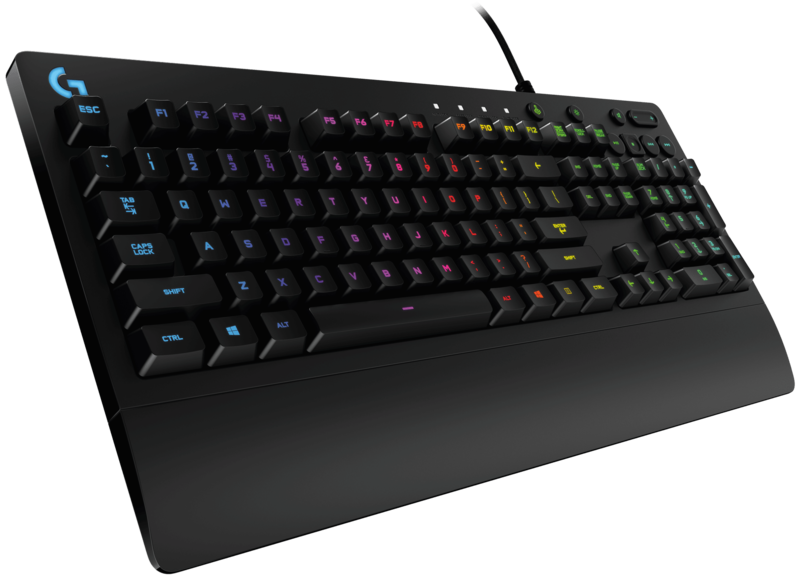 G213 Prodigy is a performance driven wired Logitech keyboard designed for gamers of all levels. 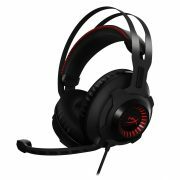 Slim, durable, precise, and spill-resistant, G213 Prodigy is designed for the way you play. 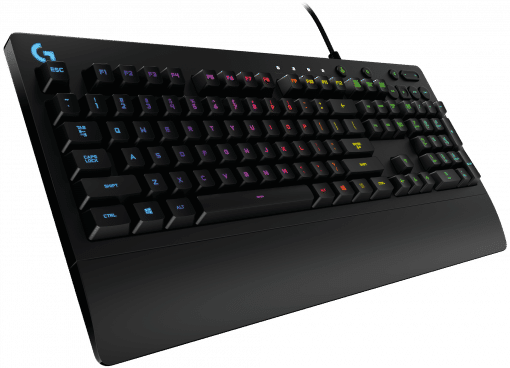 Personalize brilliant Logitech RGB color lighting and lighting patterns to match your style from a spectrum of 16.8 million colors. 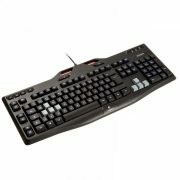 Customize all 12 Function keys to quickly and accurately execute complex maneuvers. With performance-tuned keys, G213 Prodigy brings together the best in tactile feedback you can feel and gaming-grade performance. 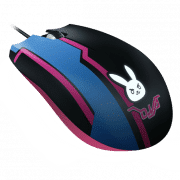 Keys are tuned to deliver ultra-quick, responsive feedback that is up to 4 times faster than the keys on standard keyboards, while the anti-ghosting gaming matrix prevents response delays even when you press multiple keys simultaneously. And with dedicated media controls, you can play, pause and mute music and videos instantly right from the keyboard.